The Chancellor of the University of Kent, Gavin Esler, invites you to join an evening of conversation with a leading public figure in a relaxed, informal format. Robert Wyatt, legend of the Canterbury Scene, was the sixth and final guest of the 2015/16 series of Chancellor's conversations. 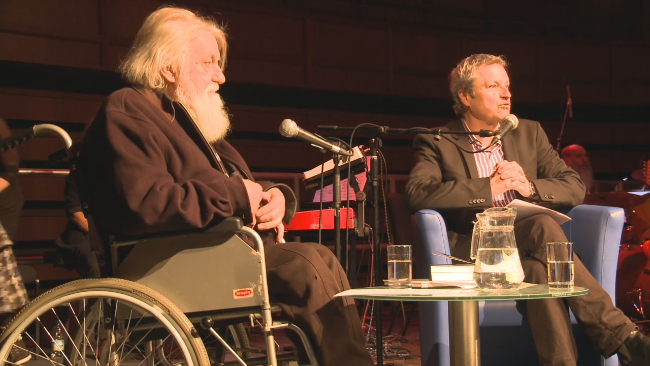 After welcoming Robert Wyatt to the University, Gavin Esler introduced Soupsongs who performed Robert Wyatt's songs throughout the evening.